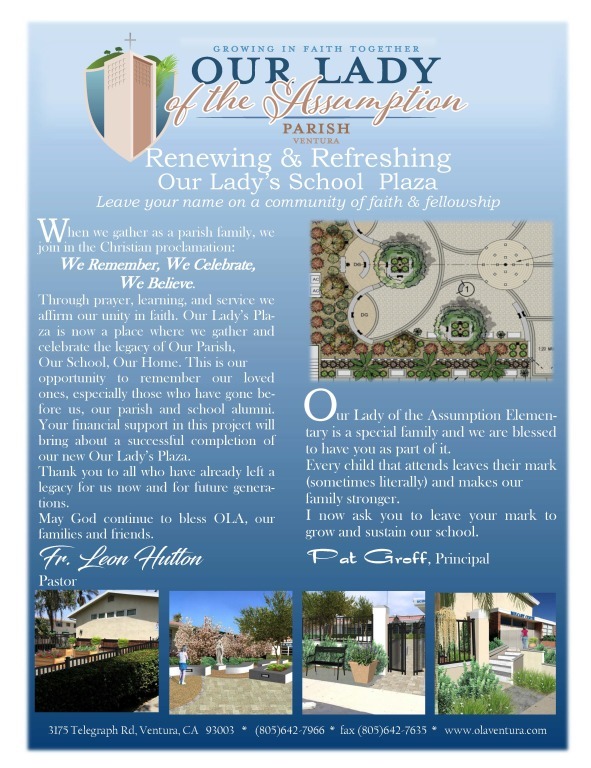 Saturday, April 27th, 5:15 p.m.
Our Lady of the Assumption Church will host its annual Mass for those who have been Touched by Cancer. Anyone who has been diagnosed with cancer, is in active treatment, is a survivor, or who has lost a loved one to cancer is invited to participate in this Liturgy. 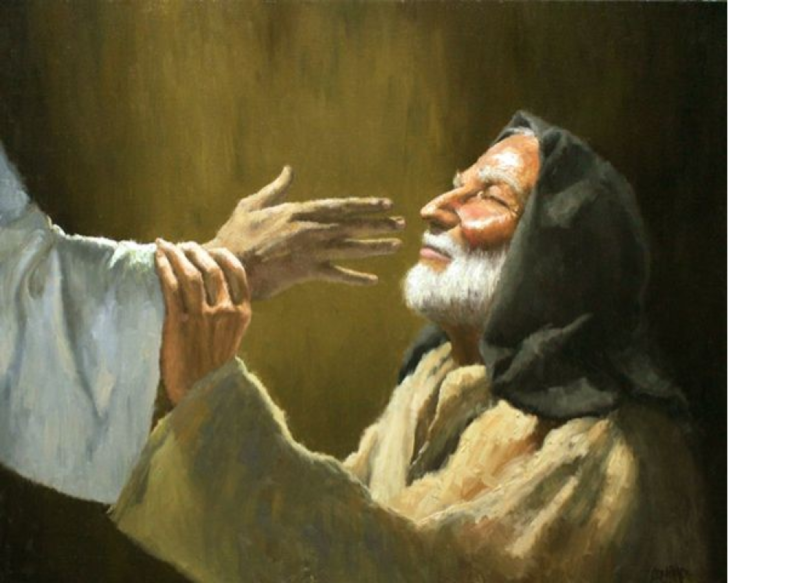 This year’s mass will once again include the opportunity for those in need of healing to be anointed with the Sacrament of the Sick. We hope that you and your loved ones will join us in celebrating the lives of those who battle or have battled cancer. 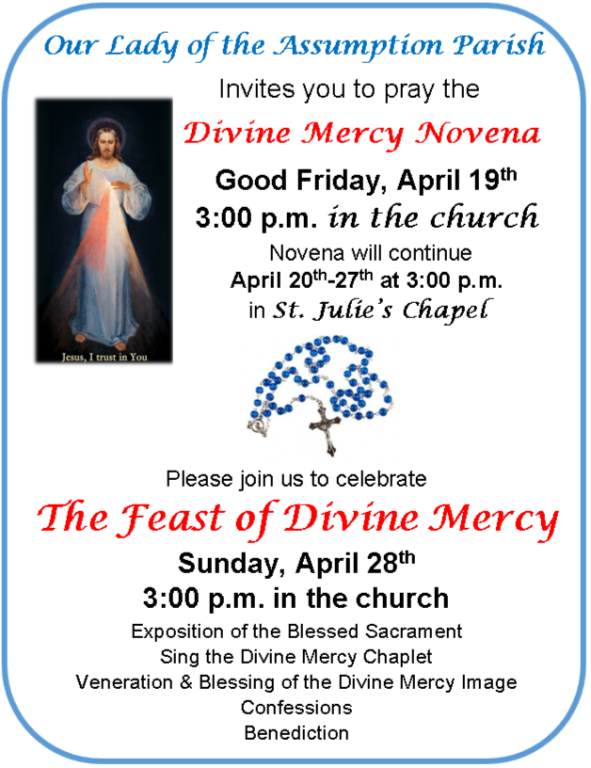 Please join us as we celebrate the Resurrection of our Lord, Jesus Christ. Hunter Haas will be at OLA to talk about the mission of FOCUS and how you can partner with him to help sustain his missionary efforts at the University of California, Santa Barbara. 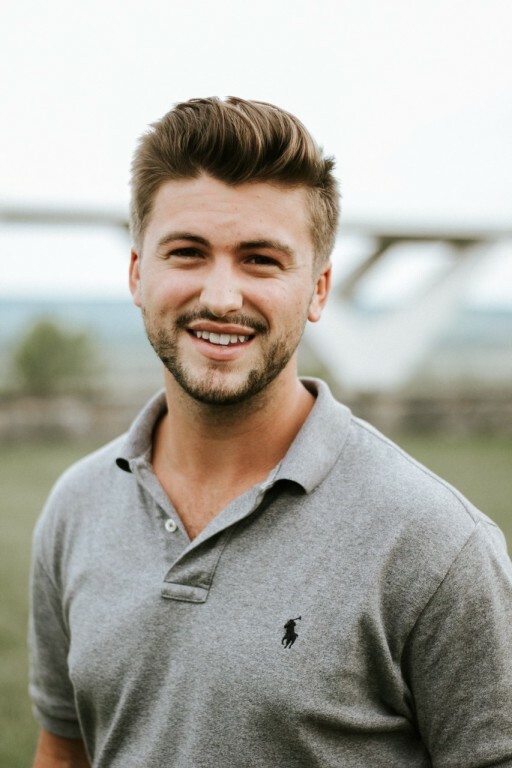 Hunter leads a team of missionaries as the Team Director in Santa Barbara, where they have the opportunity to invite college students into a growing relationship with Jesus Christ and His Church. For more info, contact Hunter at (651) 955-3451. 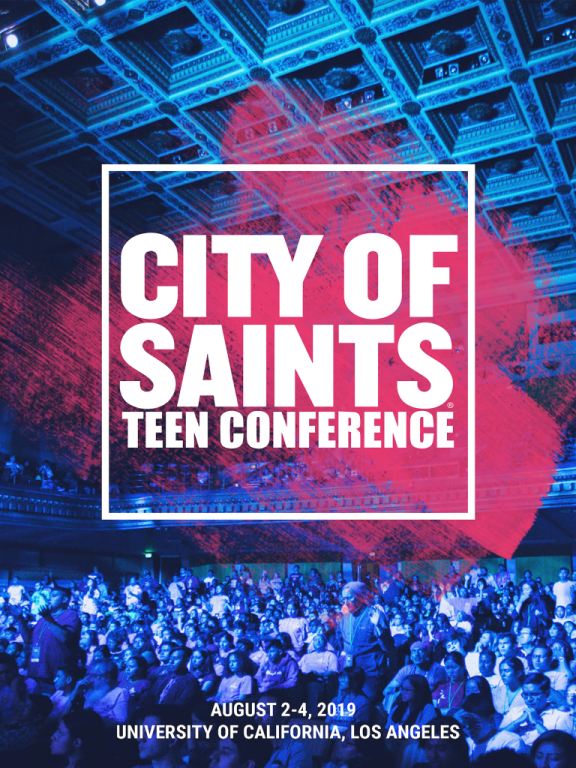 This 3 day event is a wonderful and local opportunity for young people to deepen their relationship with Jesus. 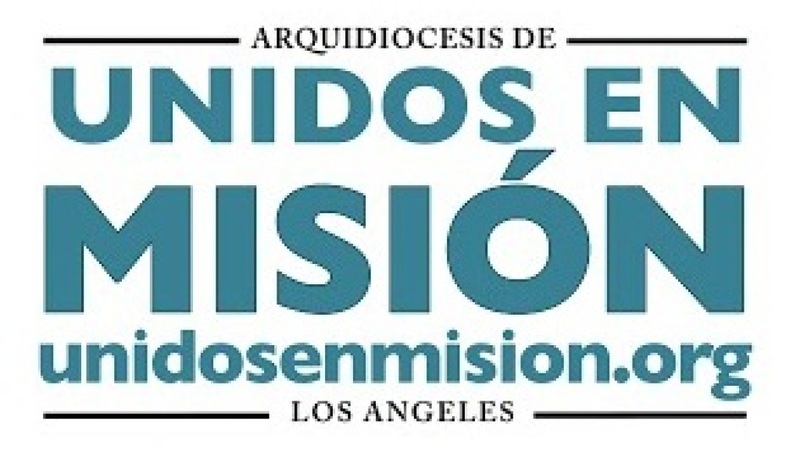 The conference features dynamic speakers, diverse liturgical experiences, music, interactive exhibits, opportunities to receive the sacraments of Eucharist and penance, and more. 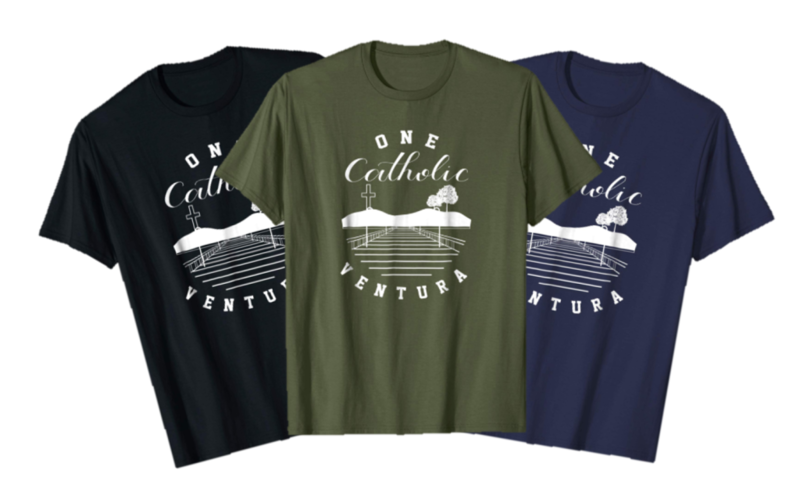 All of this is set in an atmosphere where teens can learn and experience the beauty of the Catholic faith with its rich symbols and traditions. Click HERE for Registration Form. 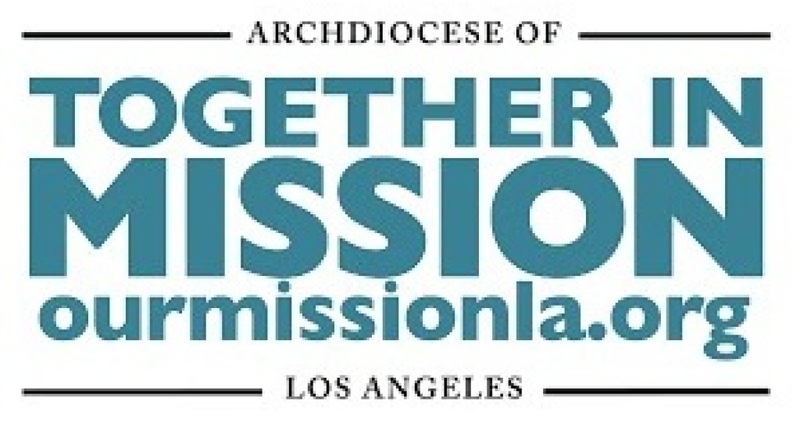 A Mission, Together: The Together in Mission campaign is an opportunity for people across the Archdiocese to join together - as one united voice. Thousands of men and women just like you make a sustainable monthly commitment because they believe in the hope that will be given through classrooms, from pulpits, on the streets, and through the sacraments. Will you join them once again? Will you continue to write the story of hope? And if you have never given, will you make a pledge of just $25 per month? Leave your name on a community of faith & fellowship. 4300 Telegraph Rd. Ventura, CA 93003. 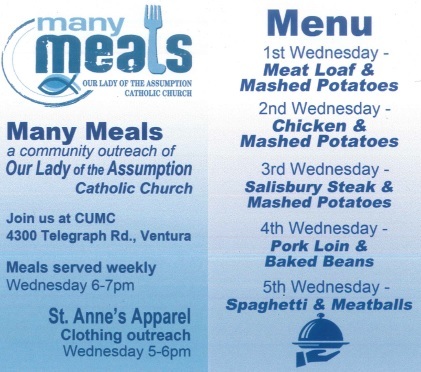 Many meals will be served at this location on Wednesday evenings from 6:00 to 7:00 p.m.